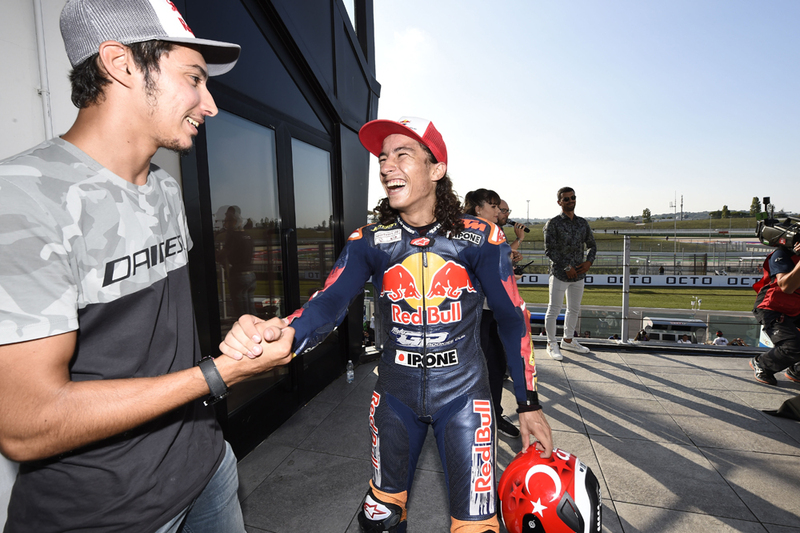 The Öncü brothers did the leading and the winning at Misano with Can Öncü taking victory and the Red Bull MotoGP Rookies Cup for 2018. 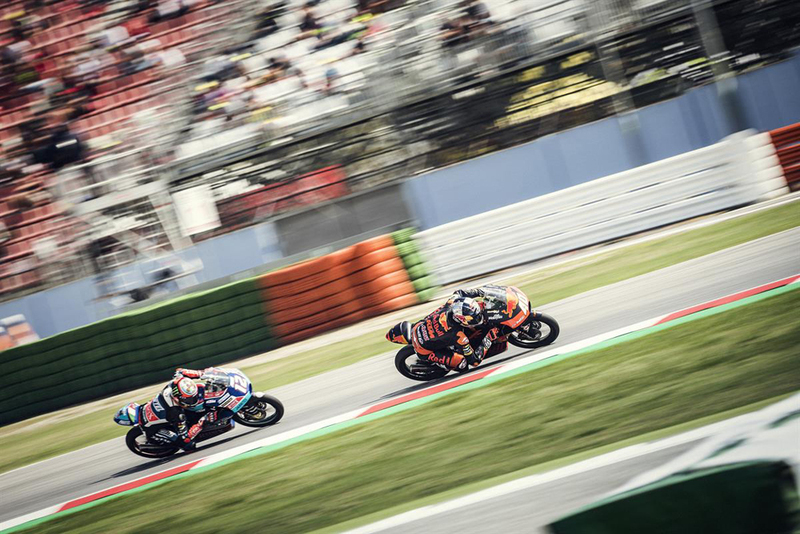 The 15-year-old Turks had to fight all the way with seven other KTM RC 250 RBs and while Deniz Öncü did most of the leading, a tiny error at the end left him crossing the line a furious eighth. Filip Salač, the 15-year-old Czech, took a super-close second ahead of Spanish 15-year-old Adrián Carrasco. 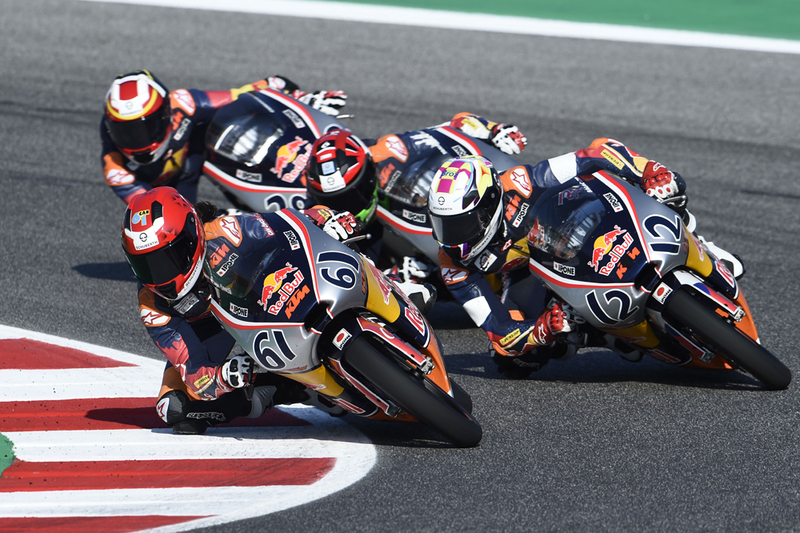 For most of the race, Can was not in a Cup-winning position, with 50 points still on offer at the final round in Aragon he needed a decent finish as his brother and arch rival Deniz was heading the field. At one point Deniz managed to break away by almost a second but that lasted less than a lap with Salač leading Can and the rest back onto his tail.